The time is right. UT Arlington's enrollment is increasing. The alumni base of UT Arlington is increasing. Social media allows us to engage many of UT Arlington students and alumni online, to keep them informed, and allow them to participate in ways that were not possible in 2004, the last time an attempt to bring back football was made. The University of Texas at Arlington abandoned football in 1985, and it is time to bring it back. Attempts to bring football back have failed over the years. Most recently in April 2004, when UT Arlington students approved an increase in student fees to fund the program. A feasability study was conducted and made available in January 2005. The university ultimately decided that it was not the right time to consider bringing back UT Arlington football. In the past few years, UT Arlington has accelerated efforts to raise it's profile, and to make the necessary investments to become a Tier One National Research University. Investments have included the new $126 million dollar Engineering Research Building, and the new, $78 million dollar Student Events Center that will host UT Arlington events such as volleyball, basketball, and commencement ceremonies. It is without question that UT Arlington's commitment to becoming a Tier One National Research University has done, and will do, great things for the university for years to come. UT Arlington is the fifth largest university in Texas, with over 33,000 enrolled students, and is currently the second largest school in the United States without a football team. UT Arlington has over 138,000 alumni, including 96,000 that live and work in the DFW metroplex. 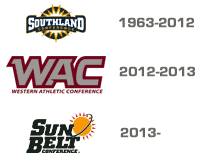 Other schools, such as The University of Texas at San Antonio (UTSA), Lamar University, and South Alabama have all succeeded in bringing football to their respective schools in the past couple of years. The UT Arlington community should be motivated by what these schools have done, learn about how they were able to do it, and take the necessary steps to make the return a reality. The time has come to start a new, coordinated effort to ignite alumni support, student support, and work together with the university and the community, and come up with a viable plan to return football to UT Arlington. Football, for better or worse, is a way to bring a school together. To raise the pride of all of those involved with the university. Football is a way for students to share in something outside of academics. It's what keeps the alumni engaged with the school after graduation. New traditions will be formed. Friendships will be made. School spirit will rise. Imagine tailgating with friends for years to come, bringing your children to the games and having them know UT Arlington from a young age, and creating the memories that will keep UT Arlington our hearts and minds for years to come. Be a Maverick! Join our cause! As of now our plan consists of raising awareness and guaging the community on the idea of returning football to UTA. However we are looking for suggestions and people willing to participate in bringing this thing to fruition. To be successful at returning football to UT Arlington, a coordinated effort has to be made across all effected parties. 1. Student Support - If the students do not want it, then the effort is DOA. The students will have to support the fees increase necessary to support the extra costs. 2. Alumni Support - The students cannot support the expense of football without alumni support. Alumni will need to be involved to help raise money and attend football games to ensure it's success. 3. Athletic Booster Support - Supporting the UTA Athletic department and contributing to it's current success outside of football will help to create confidence and momentum to take the giant step of fielding a football team. 4. University Support - The university is focused on attaining the Tier One Research University distinction. Football is not a pressing concern. However, with strong Student and Alumni support, combined with support from businesses within the community, that will show that the football program can sustain itself financially in it's infancy, it may be possible to pursuade the university administration to get the ball rolling. Our hope is that we can work through existing organizations that are already established with the university, such as the student organizations like the Student Congress, the UTA Alumni Association, and The Maverick Club (athletic booster club), and bring these organizations together to work with the University administration. 1. Spread the word about our cause and ask your friends and family to follow us on social media networks such as Facebook, Google+, and Twitter. We also have this website. 2. Support UT Arlington athletics by attending athletic events, donating to the athletic department, and even buying UTA athletic merchandise (http://www.utamavsgear.com/). A major increase in support from fans, students, and alumni in the existing sports at UT Arlington, along with keeping the UT Arlington Athletic department on strong financial footing, will be necessary to convince the UT Arlington administration that the school can financially support reinstating football. 3. Contact the UT Arlington organizations you already support, such as the Alumni Association, and the Maverick Club, and let them know that you want to help them support their efforts to bring back football. See Facebook, Google+, or Twitter for the latest updates and discussions. Not affiliated with The University of Texas at Arlington.